Ontario’s biggest natural gas distributors are halting activities related to the provincial carbon-pricing program dismantled by Premier Doug Ford, a move that could remove costs for both the companies and their customers. Both Enbridge Gas Distribution and Union Gas are owned by Calgary-based Enbridge Inc. The order from the OEB followed Ontario’s recently installed Progressive Conservative government announcing on July 3 that it had revoked the province’s cap-and-trade regulation and that it would begin “an orderly wind-down” of the variety of green programs funded by the carbon-pricing system. The gas companies are registered participants in the cap-and-trade program. “Union confirms that it has been in compliance with Ontario Regulation 386/18, prohibition against the purchase, sale and other dealings with emission allowances and credits, since it was issued on July 3, 2018,” said a July 12 letter from Union Gas to the OEB. Epcor also confirmed it had ceased cap and trade activities in compliance with the new regulations in a July 13 letter. Also called off by the OEB was a nearly completed review of the utilities’ projected costs of complying with cap and trade in 2018. Businesses have been seeking answers ever since the Ford government decided to toss out Ontario’s cap-and-trade system. Under cap and trade, the province’s largest producers of carbon emissions had to buy permits for those emissions. “Cancelling the cap-and-trade carbon tax will result in lower prices at the gas pump, on your home heating bills and on virtually every other product that you buy,” trumpeted Ford in a press release. Ontario had raised approximately $2.9 billion in proceeds from the cap-and-trade system’s allowance auctions before Ford’s election, although the carbon-pricing plan’s cancellation has put a number of related programs in jeopardy. “The government made a clear election platform commitment to end the cap and trade program; the regulation effectively ends the program,” said the notice posted to Ontario’s environmental registry. But the program is being ended after a lot of money was spent meeting its obligations, and it’s unclear how, or if, companies will be reimbursed for the incurred costs. Natural gas is used for heat by approximately three-quarters of Ontario households, and gas companies in the province had been responsible for covering carbon emissions paid for by their customers. The distributors, however, were allowed to recoup cap-and-trade-related costs through the rates they charged. A spokesperson for the OEB said those charges represented approximately $6 to $7 per month in costs for a typical residential customer, depending on the utility and the amount of gas used. 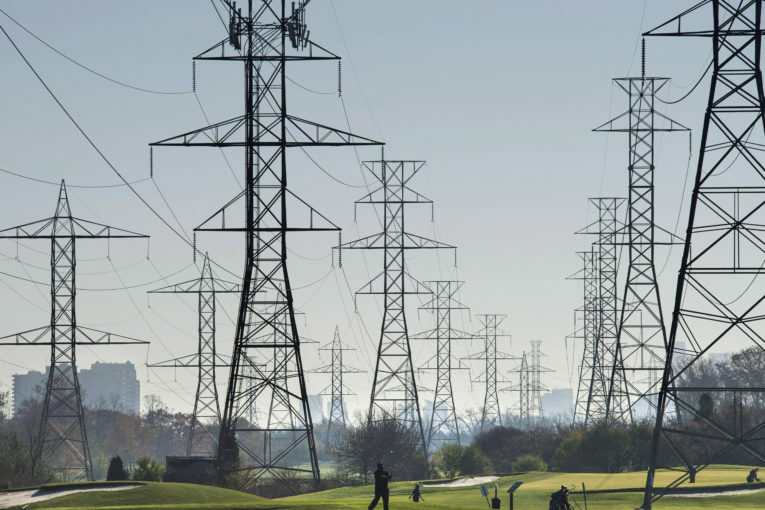 “The OEB is actively monitoring further developments from the government to inform next steps in relation to the gas utilities’ costs and cap-and-trade charges on utility bills,” the spokesperson said in an email. Based on a carbon price of $18.99 per tonne, Union Gas projected total cap-and-trade obligation costs of $282.8 million for this year, according to its OEB application. In 2017, Union — now part of Enbridge after the Calgary-based company’s $37-billion merger with Houston-based Spectra Energy Corp. — said its total cap-and-trade obligations cost $275.3 million, a table in the application showed. Enbridge Gas Distribution estimated in its application to the OEB that its customer-related carbon costs for 2018 would be approximately $377 million. The company also forecast $4.6-million in facility-related costs. “The cap and trade charges approved by the OEB in respect of the gas utilities’ 2017 cap and trade compliance plans currently remain in effect, as the OEB denied the gas utilities’ requests to charge their higher proposed 2018 cap and trade charges on an interim basis effective January 1, 2018,” noted the OEB’s procedural order.